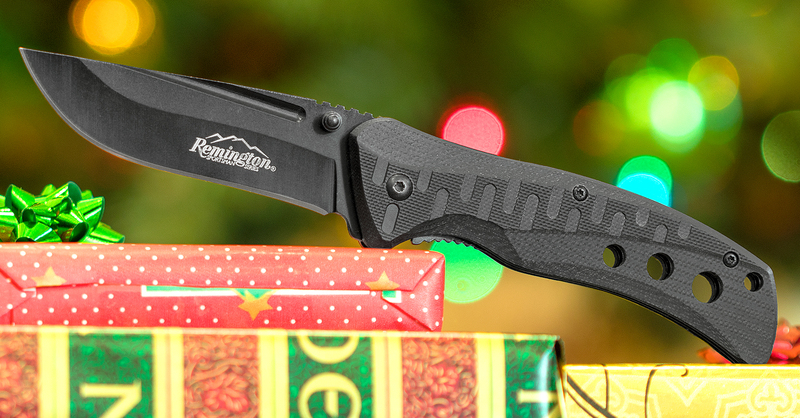 This assisted folder by Remington is a quick action tactical knife that feels great in the user's hand. 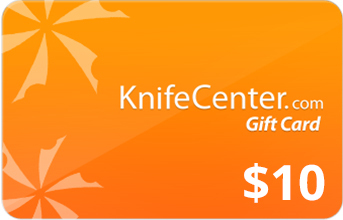 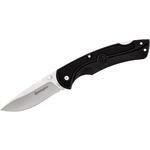 The blade features a 440 stainless steel drop point blade with a black oxide finish. 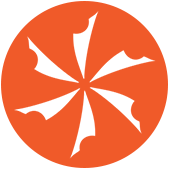 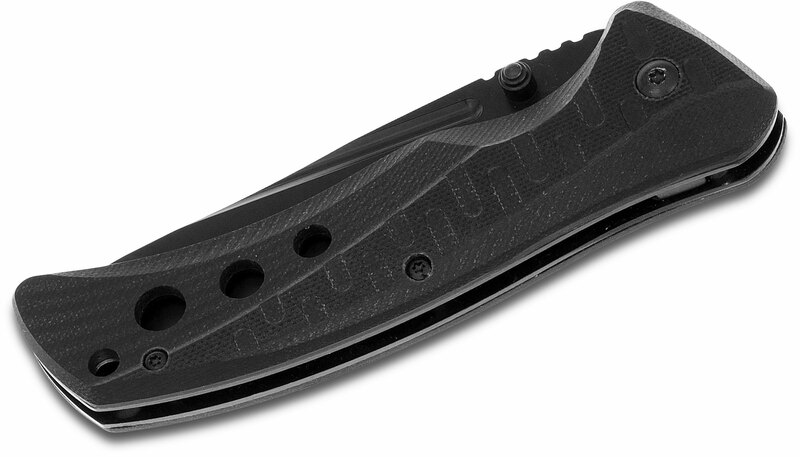 The blade can be deployed via the dual thumb studs. 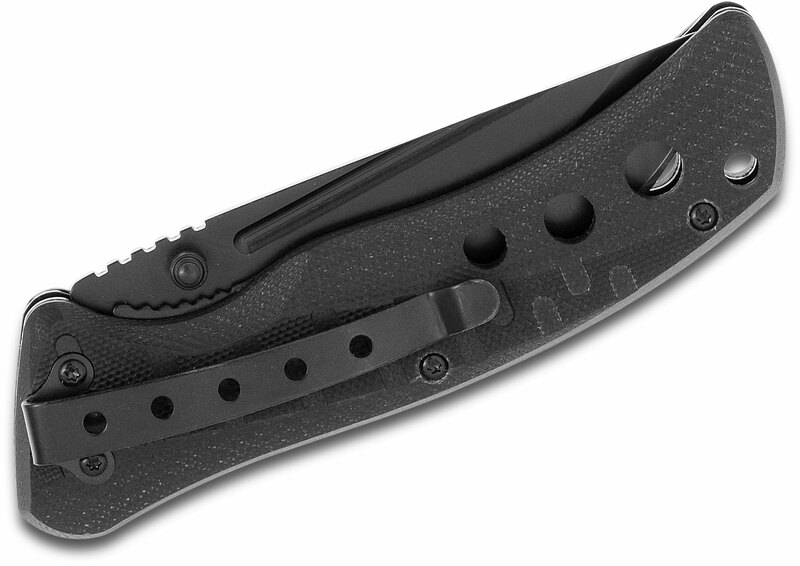 The black G10 handles are textured in a way that makes it grippy and ergonomic. 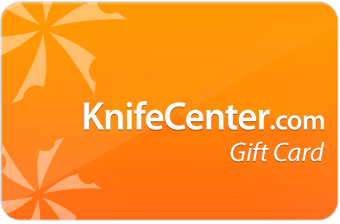 This knife comes with a tip-down pocket clip and a lanyard hole. 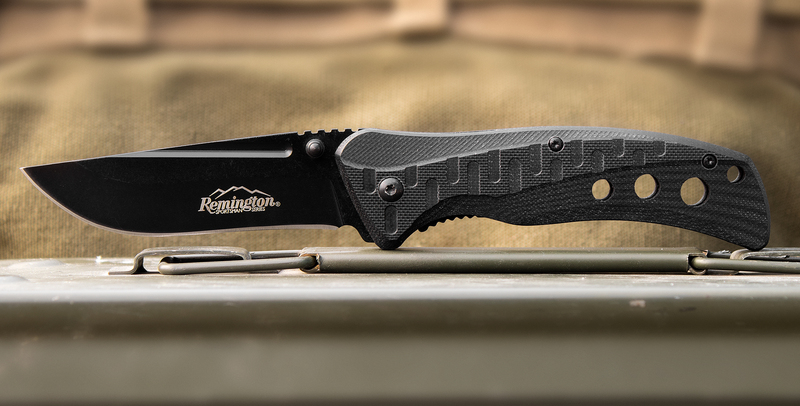 Bear & Son Cutlery and Remington Outdoor Company (ROC) have announced a partnership agreement to manufacture a new line of collectible and functional cutlery products. 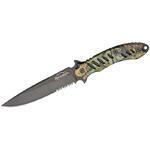 The collection will offer all of the sleek design of a Bear & Son knife with the rugged durability that sportsmen have come to rely on from Remington. 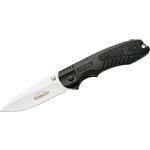 Hey, I wanted to share "Remington Tactical Assisted Folding Knife 3.25 inch Black Plain Blade, Black G10 Handles" with you from KnifeCenter.